Expect a Miracle: What do you think? So, I think this letter to Deseret Book explains itself. I cannot believe some people, and if I don't stand up for adoption who will? I have hesitated to write this letter, for a few reasons, I believe the person at fault is a manager of the store, so I am not expecting anything to be done, but I would appreciate sharing this information with any of the employees, so further comments will not be made. And secondly my sweet husband went into the store to make a complaint already this morning, but at the urging of my family I write this. I was present at the Ladies Night on Saturday April 5th. I have been coming with my mom and sisters for several years to participate and have always enjoyed myself, it has become a tradition for my family. But on Saturday night, there was an extremely hurtful comment made, and I know I am not the only one who was deeply offended. Let me explain why I was so offended, you see six months ago after 5 ½ years of trying to conceive my husband and I were blessed by the miracle of adoption. We finalize her adoption on the 13th and will have her sealed to us on April 18th in the Salt Lake Temple. I was so hurt because of the “YOUR OWN KIDS” statement. I believe whole heartedly that my daughter is “my own.” She was meant to be in our family, and I know I was meant to be her mother. I do not believe this employee was trying to be offensive, or hurtful, but I do believe this person knows nothing about adoption and should be enlightened. I know I was not the only person offended that night, one of the first winners of the drawing that night was a woman in my ward who was placed with her daughter 3 weeks after I was placed with mine. They also finalize this month. Not to mention my mom and sisters who were stunned as the words came out. Let me end by quoting from a book that is carried by Deseret Book. A few years ago I was desperately looking for a book on infertility from the church (they are few and far between). I found a book in your store by Krista Ralston Oaks titled Fertile in Our Faith. In it she compares a adoption to a family reunion. She says, “Some came to the reunion by car. Some came by airplane. Some came by train. What mattered was who, not how they came. The plan by which our child came to our family was the right plan…” (pg. 46) After reading those words, I decided to let go of the hopes I had to become pregnant and to embrace the miracle of adoption. Being pregnant does not make you a mother. Praying so fervently for a child, waking up for a midnight feeding, bathing and teaching her to clap when she’s happy and fold her arms when she prays, that is what makes a mother. I hope this gives a little insight to adoption, and that these children belong to their parents, despite the fact that they did not come from their mother’s bodies. Thank you. Oh. My. Gosh. I am so proud of you! I am so sorry that you had to go through that experience, but I think that is a wonderful way to react (as opposed to what came to my mind first which was to deck someone.) If they respond, I would love to hear what they say. I love you and I am so happy that you are a mom. Ellie will be a wonderful person, because you are her mother. I completely agree. There are mothers out there who do absolutely nothing for their children, other than birth them. I think that caring for a child makes you just as much of a mother to them, as a woman who birthed them. Way to stand up! Oh my goodness!! I am so glad that you wrote this letter--and if there is a petition going around to have that horrible employee fired I will sign it twice. Pssssh, to think you aren't a "real" mother...goodness, it's laughable! You are an amazing Mom, and Ellie is and will continue to be proof of that. You don't even know me, I found your blog through a friend's. I was there that night, and I couldn't believe the woman said that either. I just wanted you to know that I think it is a great thing you are writing this letter, and I think you are wonderful. Thanks for standing up for yourself, and I'm sure for many other women who were offended that night. Good for you. LOVED, LOVED, LOVED Your letter! AMEN!!!! And YOU GO GIRL!!!!! You totally need to send that in- I think that was totally rude of that employee. I think no matter how they come do your family, if you raise them, they are yours!! I'm sure there were people there with kids from more than one marriage that are mothers of kids they didn't give birth to, also, that they consider their own. You are such an awesome mom- way to go for standing up for adoption!! Jenny, that is a great letter. You are just as much a mother as anyone who has given birth and it is great of you to share that with readers. Awe man! That is a really good letter Jenny! My eyes are a little misty now trying to type my comments! My mom is adopted, so I feel like I've seen a lot of an adoption story, from a totally different point of view. My mom is SO MUCH like her adopted parents!! LOVE is what makes a family, not a pregnancy. I'm so sorry that you had to experience that. Let me tell you a story that has always bugged my mom.. when she was in Merry Misses, at least I think, maybe Young Women, she was with a teacher that had my mom's "File" from the church. The file said that she was adopted, and the teacher acted really strange about it. My mom has always known she was adopted, but she had always felt special, not strange. Ya know? That's how I KNOW you will treat your beautiful baby. AND I am super glad you are educating that poor ignorant Deseret Book employee. That just hurts my heart...I am sadden that people still dont understand the powerful gift of adoption and/or fostering. How sad to think that there are people who think those wonderful people who adopt children are any less parents than those that gave birth to them. Way to stand up for yourself and thousands of other adoptive moms! I am glad that I wasnt in attendance or there may have been a show down...I am so excited for you guys to take beautiful Ellie to the temple, I can only imagine how wonderful it will be! Tomorrow marks seven years since I had my little girl and placed her for adoption...and I am so thankful for her mommy and daddy who have taken such good care of her. wooooooow. the ignorance is just flabbergasting! absolutely send it. your letter says what i'm sure everyone else there was also thinking. i mean, WOW. i'm going to keep shaking my head about this the rest of the night. We just have to gently remind them that--"Mother" has more than one meaning. Like it's been said before, "you don't know until you have walked in someone else's shoes". Which Deseret Book ladies night did you go to? I didn't hear that at mine, but sounds awful! Wow, I can't believe they said that. I'm sure like you said that lady probably did not mean to offend anyone. However, I think your letter is very appropriate. Thank you for sharing. I think it's perfect and I can't believe she said that! I am so excited for you guys on the 18th. Only 8 more days!!! Jenny, I am in tears and completely agree with everything you said. I'm so sorry that people say such rude things and even though I'm sure she didn't mean it that way, am hurt by those words as well. I am very grateful for adoption, for both the benefit of the parents and the children. I am so glad you wrote that beautiful letter and know that you have probably thousands of people that back you up! Beautifully written and well-said! I'm so sorry for your hurt feelings...you are 100% right and she is 100% wrong! I agree with everything you said and I'm so glad you shared this with us! WOW! I can't believe there are people out there that are really that ignorant. Okay, I CAN believe it, I just WISH it weren't true. I'm so impressed with the way you've handled this. It's important for people to understand. And apparently Deseret Book needs to invest in some sensitivity training for their employees. Seriously! You continue to be an amazing example to me! You're right - if we don't stand up for adoption, who will? Good job Jen, doesn't it feel good to let people have it sometimes? I'm so glad you wrote this comment. Some people really don't understand and I'm so glad you want others to understand. I'm so excited that the adoption is now finalized! I'm so excited for you to be sealed too! So sweet, and precious. We love you guys! Wow. Good job Jenny! I think your letter was eloquent and curt with what you wanted to say, but also kind and understanding. You're right in the fact that she probably wasn't *trying* to offend anyone, but at the same time, she needs to be educated. Ignorance is not bliss. Congrats on being sealed to your beautiful Ellie! I'm so happy for you Mommy! Amazing! I totally agree with everything you wrote in that letter. I am so proud of you. What a wonderful mommy! Wow you're awesome! You guys are wonderful people and are the perfect parents for little Ellie! Your letter is perfect. Thanks for standing up for adoption!! Thanks for taking a stand in such a respectable way! I followed your link from the r house and I am so upset! I have received a similar comment before and it hurts deeper than anyone can know, Thank you so much for taking a stand! Thanks for sharing your thoughts and words with us. I agree completely and I'm saddened that you were treated that way. I love being a mother and like you I don't care how my sweet girl found her way to our home. I know the LORD knew what he was doing the day he led her birth mom to us. I forever will be grateful to be a mommy no matter how I became one. Thank you for standing up for all of us adoptive mommy's, foster mommy's, step mommy's etc. You rock!! Jenny, I came here from the r house which I recently came across in bloggyland. I am very sorry for the hurtful words this woman has said. I'm sure in her own ignorant little mind she has no idea that she was saying anything mean, but that's when it hurts the most, isn't it? 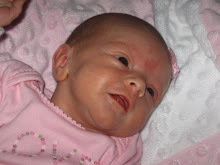 My husband and I lost our daughter at 26 weeks gestation. We debated to have another child or not because the probability of having another child die is too great. We started leaning towards perhaps adopting and were investigating what adoption possibilities around here. We put it off a little bit because we were worried no one would even give us a second look to be the parents of a child. Sadly, we missed our chance and now it is too late for us to have any children (by any means). Anyway, I can relate in the sense that even though I had a daughter and gave birth to her, many people do not consider me a mother, because she died before she was born. So I'm sorry that someone's hurtful words had to sting you. Your daughter is definitely your daughter. So what you didn't birth her, she was born in your heart and you are raising her with love and care that she might not have had otherwise. You are indeed her mommy. Here's my two cents, some people do not believe your a mom until you give birth to a child others believe your a mom once you get married since most men will forever be kids at heart. Either way that is their thinking and their entitled to it wither its right or wrong, joyful or hurtful. While she shouldn't have said this to the crowd she may not have relized her statement hurt people as she maybe one of those ladies who thinks your only a mom if you've given birth. The letter seems nice and respectful without going overboard with emotions. This is a perfect time to shed some light about adoption to others since the statement that lady made is nieve and ignorant. Maybe this will broaden her horizon. I agree with those thoughts on Motherhood. Sheri Dew gave a great talk on that subject entitled "are we not all Mothers?" You go girl! That was very well said. I don't have much to add that other commenters haven't all ready said, I agree with all of it. I just wanted to contribute my support and admiration for what you did. It is up to us to educate those around us, and you've given us a fine example of that. Thank you. well said. as an adoptive mom going on three weeks now, i couldn't agree more. thanks for sending this letter! you should send it to the editorial section of the newspaper too! Wow! I am stunned that anyone claiming to be a professional could utter such idiotic words! I worked for DB for 5 years...I hope you sent your awesome letter straight to the top...Sheri Dew! Can you imagine how many women probably felt like you did (like I would). People who foster, people who adopt and I think of sweet women who have placed or who are just starting their journey to try to concieve using treaments. UGH!!!! I hope you will post any response you recieve from DB. me too birthMOM. we are kindred spirits. lol. jenny sets a great example of understanding. i would have struggled. I am so glad you took the time to do that! I am a step mom and my husband has an adoptive son and my older children have the most amazing stepmom. And you have too work just as hard to bond and work at those relationships and be as much a mother as if they were of your body!!! As for the talk by Sherri Dew - who is single by the way - it was the best talk on motherhood I have EVER heard. She describes motherhood as a calling in much the same way as priesthood is a calling for the men. We are born into it. And for those who don't have the opportunity to marry they are still given the chance to have an impact on family members and others around them by using that gift of 'motherhood'. I also hate it when I am told on mother's day 'those who have the most children stand up, and this doesn't include those with step children, or adopted children, and I think what makes them less my own? Or even still, one year I had a woman I was serving with who wanted to make sure when the mother's day gifts were handed out they were only given to the mothers, not to those who were single or who had not had children. This REALLY upset me! What a horrible way to once again single out those who through no fault of their own are still trying to live the commandments faithfully by coming to church!!! I referred her to Sherri Dew's comments on Motherhood being a calling of our divinity of womanhood and expressed in very certain terms my feelings about how Heavenly Father would view that. (lovingly, of course) Some haven't had our experiences (lucky them) and still need us to share!!! I am reading this through "the r house" and I just wanted to say Thank You for standing up for adoption. There are too many hurtful comments out there, I know we've all heard some. And btw, the book "Fertile in our Faith" is my favorite - I love that you quoted such a wonderful analogy. I hope more people can open their eyes to see what a blessing adoption is, and that it doesn't make us any less of a parent. I am stunned someone would say such a thing. Good for you for writing the letter. Thank you, thank you, thank you! From the bottom of my heart, thank you! My husband and I are waiting to find our baby and adoption is so hard and so misunderstood! Just today I wore my "paper pregnant" shirt that offers me great opportunities to promote adoption (everyone asks what it means) and I had one of the most hurtful comments I have heard. "oh how sweet, aren't you doing a good thing" No I am doing what God has lead me to do and it happens to be a WONDERFUL thing but it is not charity or a "cause" it is a calling and part of my life! People are so uninformed! Thank you for helping right the wrongs regarding the miracle of adoption! You Rock! 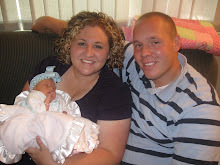 Our blog is at www.jeffandkimsadoptionjourney.blogspot.com Help us find our baby! Another KUDOS from me for writing such a great letter. I have been in similar shoes and I know how it hurts. I would have left feeling absolutely deflated...many hugs to you! Also, kudos to your family! My mom and my sisters are some of my greatest supporters. Oh and your daughter is just darling! I found this article through the rhouse blog. I just wanted to say that I personally know Krista Oaks. She is wonderful. If you don't mind, I'll tell her how her book has made a great influence in your life. Great letter, and way to stand up for yourself. I found you through the r house blog - bravo to you, for your courage and your eloquence in writing this. I too would be stunned...though steaming raging mad the more I thought about it. We are in the middle of an adoption of 2 infants from Ethiopia. I love your blog - your daughter is absolutely beautiful. Coming from a mother that has given birth to two children and has recently adopted a little boy, I am APPALLED! The ignorance is really very sad. This is EXACTLY why there needs to be better education on adoption and what a "real" parent is (our son is no less ours than our first two, and really it could be said he is more ours because our son never came home from Primary Children's!) Sleepless nights, constant worry and love, smiley/drooley kisses, wiping up spit-up/puke, playing and loving every minute while doing it: those are qualities of a mother (or a really awesome Nanny:) Good for her for standing up! BTW: I work with your friend/family member Emily Garrett~she is such an awesome and sweet person! I don't know you, but I just wanted to say...BRAVO! You don't know me as I stumbled across your blog from "the r house" blog. But I was there that night as well. And having adopted my 13 month old, I too was stunned and offended by what they said. I left that store feeling like I wasn't a mother because I couldn't have my own. Thank you for writing that letter in to them. I hope that they are able to clarify with with their employees. Congrats on your daughter and being able to finalize! It's a great day! And, to add my comments to the others here, your daughter is absolutely your OWN and I feel so sad that the Deseret Book employee is so ignorant and so pathetic in her understanding of families and the Lord's plan for us all. Doesn't the fact that parents can be SEALED to their adopted children speak loudly enough that those children are indeed their very own? I loved what you shared from Krista Ralston Oak's book. Jenny, you are amazing! Thanks for sharing this and I hope you won't mind if I too post your letter on my blog. Thanks again for a great visit, and we hope to get together again soon! Well written! Let us know if they issue an appology as an appology needs to be given. I would be happy to give her my deffinition of a mother. so seriously time for an update sister!! no excuses for 10 months!!! I am a mother of 14 all boy's but one, I adopted all but the first two!. I started my own blog only it is it's about changing my life in 365 days, of course my kids are a large part of it. I am new to blogging and am trying but could use anyone's help My site must not be working because i can't seem to get anyone to post on my page. I am a mother and grandmother from Michigan. I hope to see you in my site and possibly get some tips.